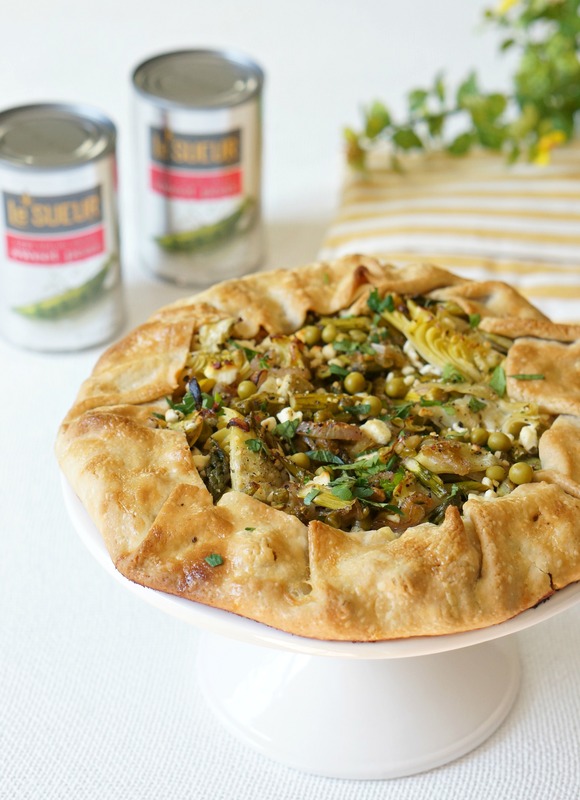 This post and Savory Spring Vegetable Galette recipe was sponsored by Le Sueur Peas as part of an Influencer Activation for Influence Central and all opinions expressed in my post are my own. 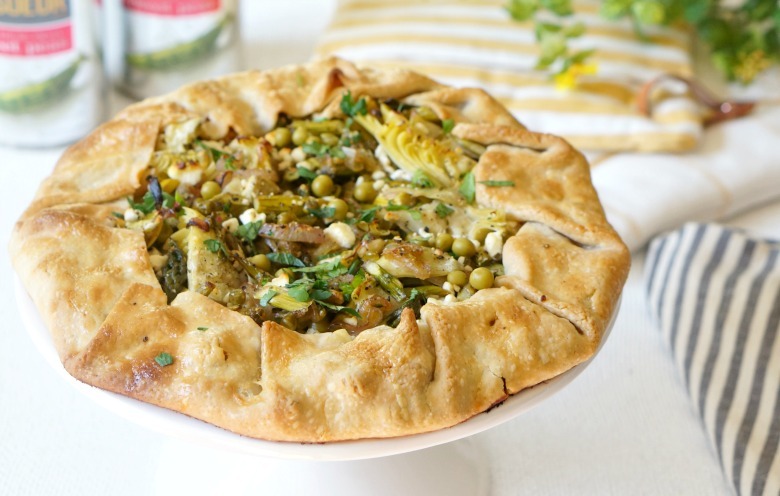 Our Savory Spring Vegetable Galette is rustic, yet elegant. Perfect for Easter! 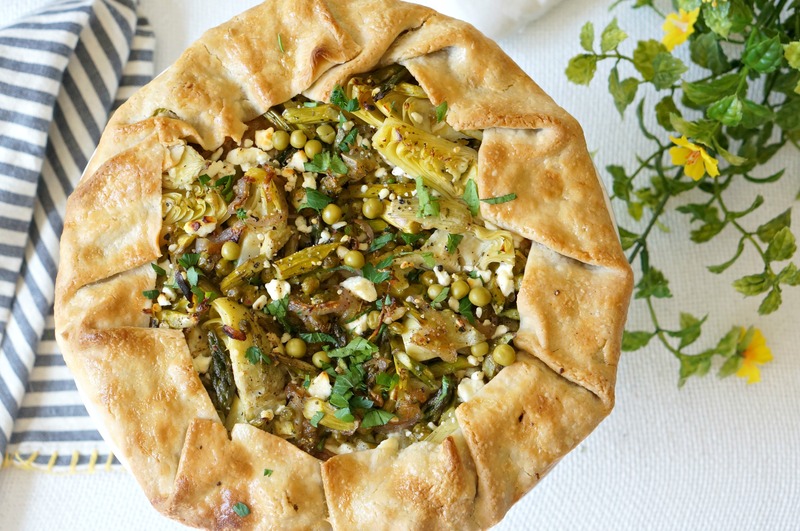 Mix and match your favorite veggies in this savory tart recipe. 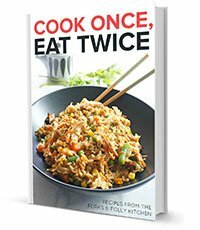 Even if it feels like mother nature has totally forgotten that it’s now spring, my cooking hasn’t. 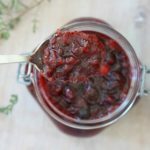 I’m bringing spring ingredients into the kitchen… ready or not! Most years my local farmer’s market is unloading baskets of strawberries and buckets of snap peas by now. 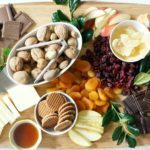 But since it’s frigid, I’m relying on some pantry staples to get me out of my winter greens rut. 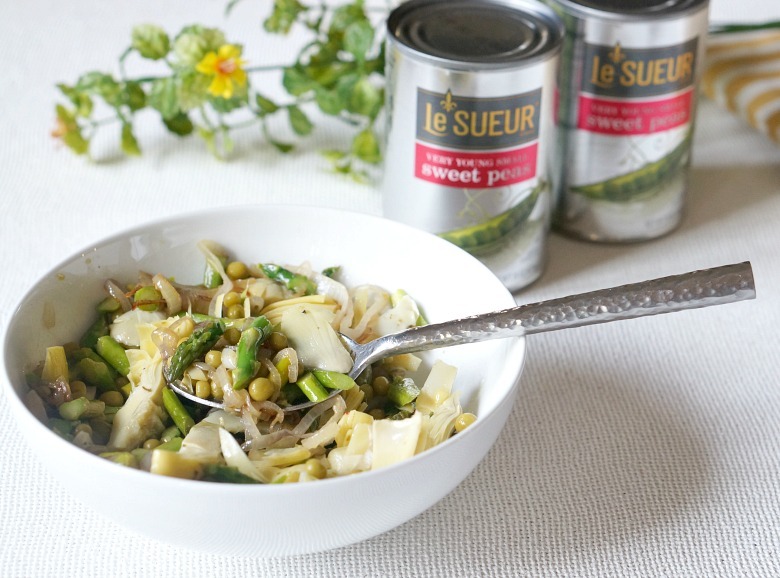 Ingredients like Le Sueur ® Very Young Small Sweet Peas, which are always a convenient side dish or perfect recipe addition. 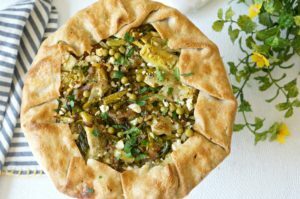 You can mix and match your favorite veggies to suit your fancy with this adaptable Spring Vegetable Galette recipe. I love it with marinated artichokes (another pantry staple of mine), and sautéed asparagus and shallots. Preheat oven to 425 degrees Fahrenheit. Melt butter in a skillet over medium heat. Add shallot and sauté until translucent. 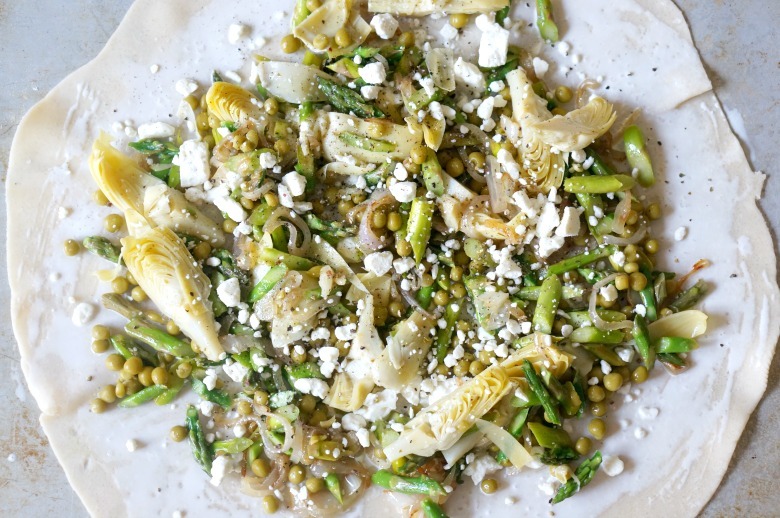 Toss in asparagus, and continue to cook until bright green and just tender. Stir in peas and artichokes, then season with salt and pepper. 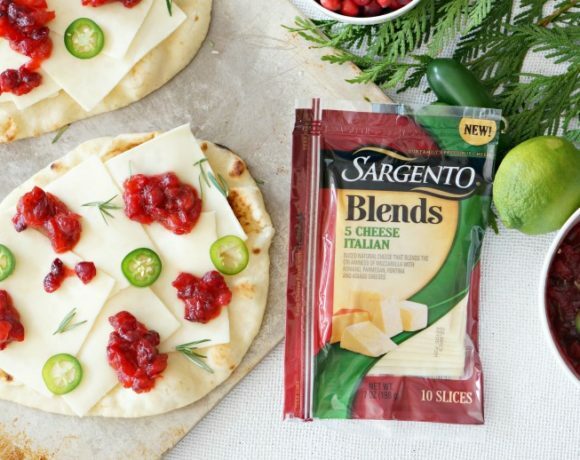 Roll out dough to a 12″ round on a floured surface and transfer to a greased baking sheet. Brush with 1 Tb. of the heavy cream. Sprinkle on vegetable mixture, then feta crumbles, leaving a 2 inch border. Fold the border up along all sides, then brush the top of the pastry with remaining cream. Bake the galette for approximately 30 minutes or until warmed through and the crust is golden. Garnish with parsley, if desired. 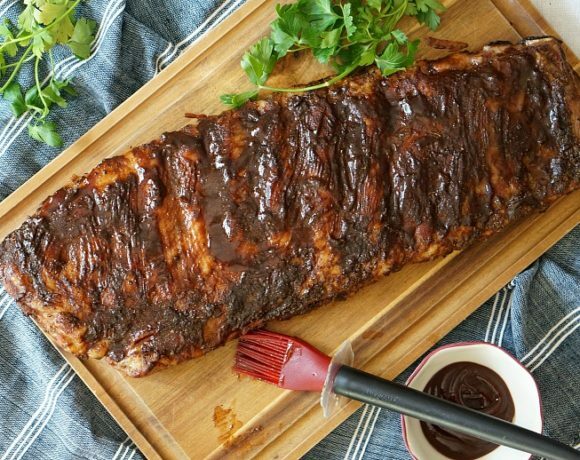 Allow to rest 5 minutes before slicing and serving. 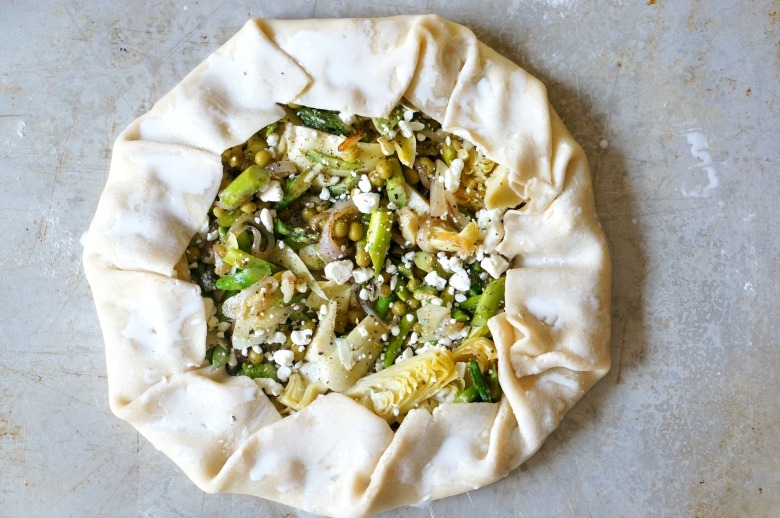 Our Savory Spring Vegetable Galette is rustic, yet elegant. Perfect for Easter. 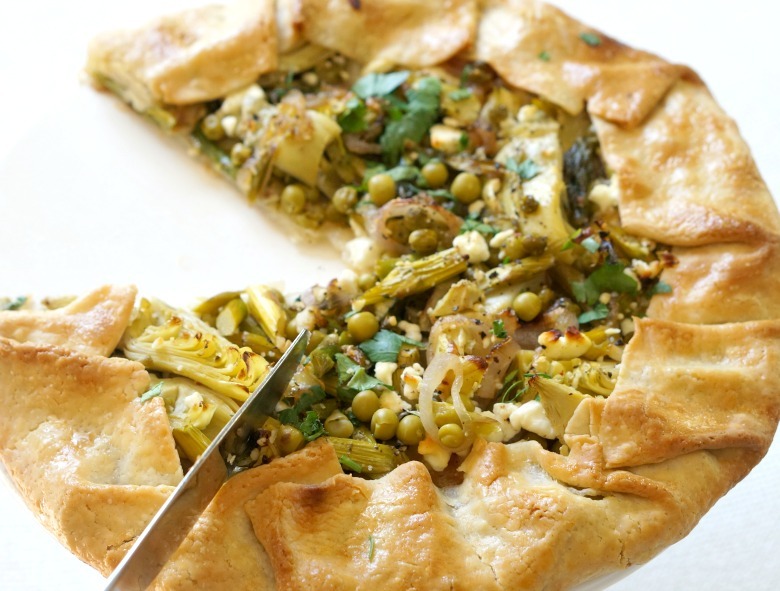 Mix and match your favorite veggies in this savory tart recipe. Melt butter in a skillet over medium heat. Add shallot and sauté until translucent. 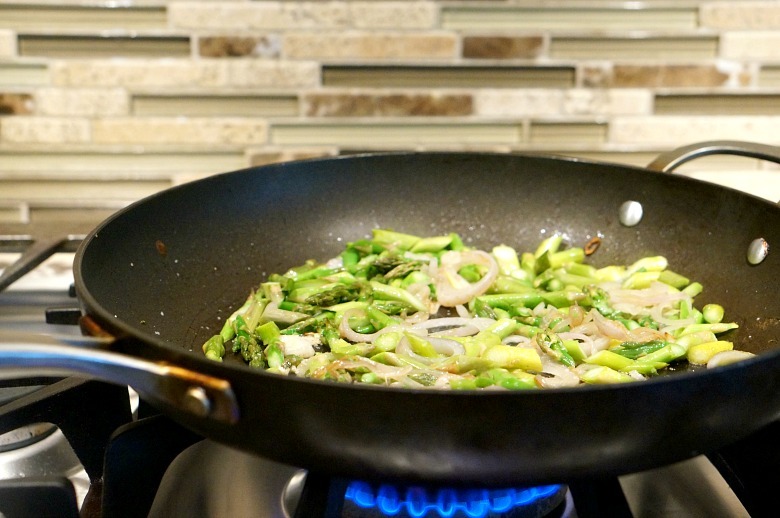 Toss in asparagus, and continue to cook until bright green and just tender. Stir in peas and artichokes, then season with salt and pepper. 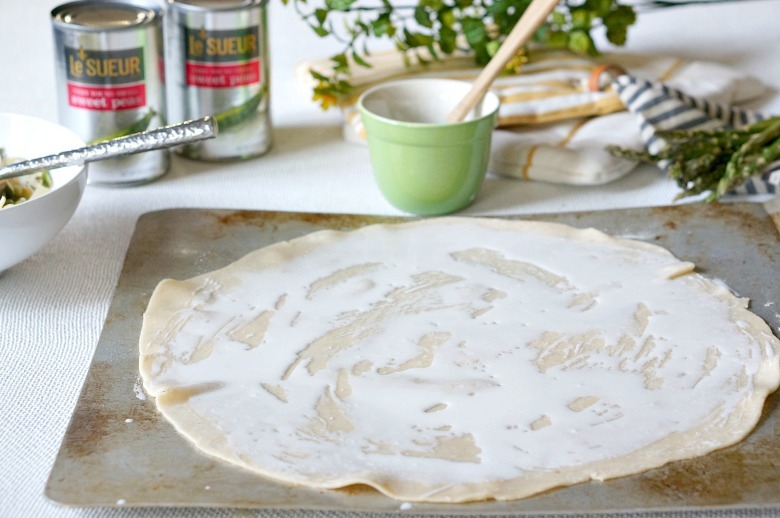 Roll out dough to a 12" round on a flour surface and transfer to a greased baking sheet. Brush with 1 Tb. of the heavy cream. Sprinkle on vegetable mixture, then feta crumbles, leaving a 2 inch border. Fold the border up along all sides, then brush the top of the pastry with remaining cream. 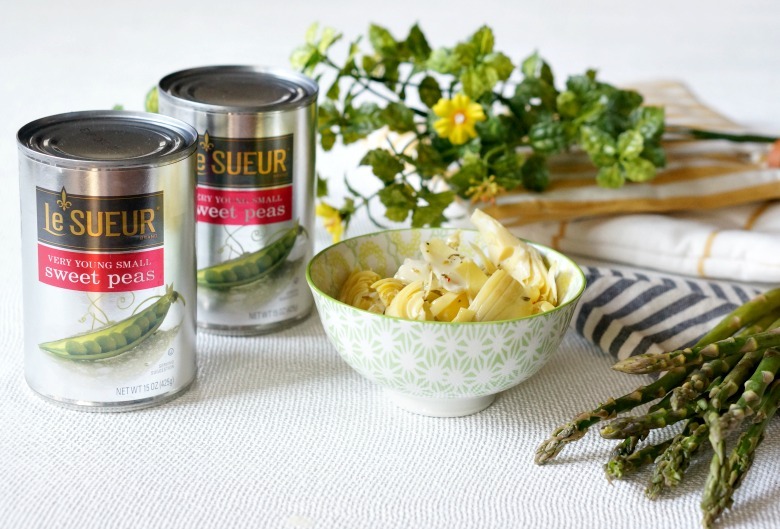 For more than 100 years, Le Sueur Peas have been known for a premium breed of petite, sweet peas – so delicate that the only way to maintain their exquisite tenderness from farm to table is in a Le Sueur can. 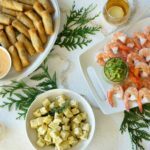 With restaurant quality that holds up when cooking, families have relied on the Le Sueur brand to deliver consistent quality and simple goodness. 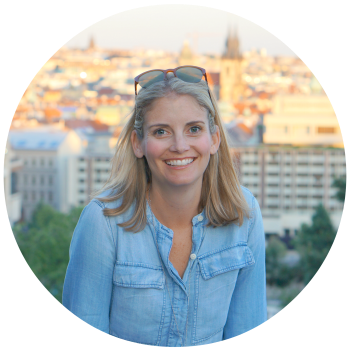 Find Le Sueur Peas in your area by clicking here. 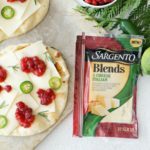 I scored mine, along with all of the other ingredients showcased in this recipe, from Harris Teeter.